Your neighbor’s pool is open, your summertime playlist is perfectly curated and ready to debut, and the weekends are filling up with weddings, BBQs and soccer games. However, with most of us soaking up indoor institutional lighting in lieu of real vitamin D during the day, it’s important to be aware of workplace dynamics that grow over summer . . . Along with the thermometer. 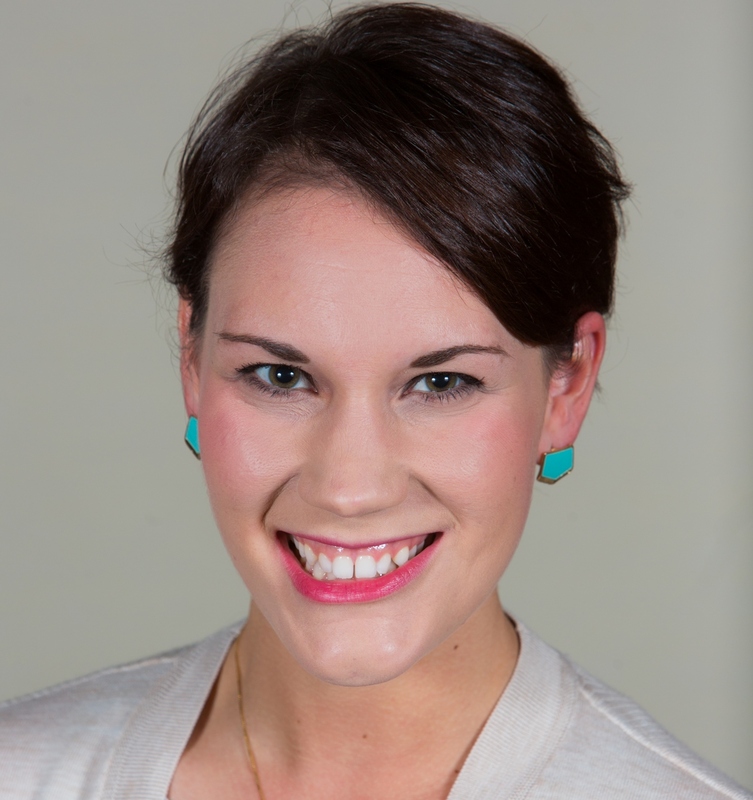 Balancing work and life over the busy summer months can be stressful for employees. Summer is a good time to establish or evaluate your flexible scheduling policy, keeping in mind that what works for one organization may not be compatible for another. Over one-third of U.S. organizations offer flexible work arrangements for summer hours, compressing or reducing workweeks during the summer months. Sixty percent of organizations have an established formal policy for summer hours and 32% handle summer hours on a case-by-case basis (from Flexible Work Arrangements). Every workplace is different, but rising temps mean either the air conditioning is blasting and you wish fingerless gloves were an acceptable accessory, or it’s warm, sticky and muggy. You can’t please everyone, but in the U.S., the Occupational Safety and Health Administration (OSHA) recommends temperature control in the range of 68-76 degrees Fahrenheit. For our neighbors to the north, the Canadian Centre for Occupational Health and Safety (CCOHS) recommends that temperatures range from 23 to 26 degrees Celsius. The obvious solution for employees—layers. In addition to providing U.S. and Canadian plan sponsors with objective benefits education, the International Foundation is also known (globally, if not universally) for our Honey Badgers employee softball team. The Foundation is one of about 18% of employers who sponsor sports teams (from Workplace Wellness Trends) building camaraderie amongst players and throughout the organization. Just look at those smiling faces below! 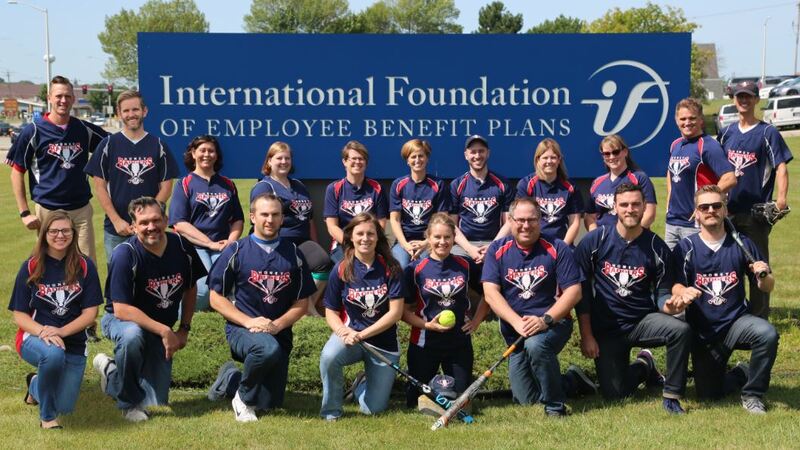 The International Foundation Employee Softball Team—Go Honey Badgers! Employees may be squeezing in a little more time in the sun by biking or walking to work once those summer months hit. According to our Transportation Benefits and Incentives survey report, among U.S. employers that offer walking or biking benefits, the most common offerings include on-site bicycle storage (44%); on-site locker rooms and showers (39%); bike-to-work subsidies, allowances or reimbursements (19%); and bike/walk paths around the workplace (19%). More than one in five organizations that offer walking/biking benefits have a formal policy in place. On average, 8% of workers take advantage of walking/biking benefits and incentives. Do your workplace dynamics seem to change at all over the summer? Share below! 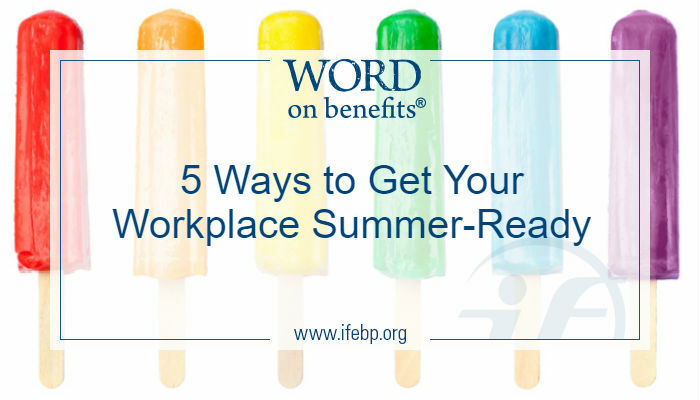 If you liked this blog, you’ll also enjoy reading 5 Free Perks Employees Will Love This Summer for more ideas (like free ice cream! ).